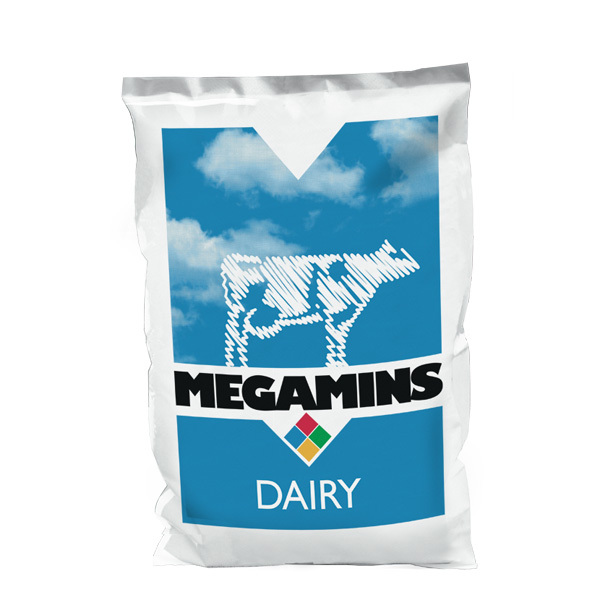 Carefully formulated and includes only the most bioavailable raw materials, MEGAMINS Dairy can offer a supplement to enhance your herd’s productivity. Contains protected sources of trace elements to ensure uptake in the presence of antagonists within the diet. Ample quantities of phosphorus and magnesium to balance today’s dairy diets. Contains a balance of essential traces, minerals and vitamins perfect to balance mid to high yielding dairy diets.